It is an aesthetically artistic item even the branch lights off. I design for a person who needs to decorate easily on the wall in any place. This can be so simply easy to set up. Or, anyone can make this product in one’s place looking at the instruction. The function is able to do only “on” and “off”. The branch on the left side has one position. If someone switches down the branch on the right side, then the lamp lights up. 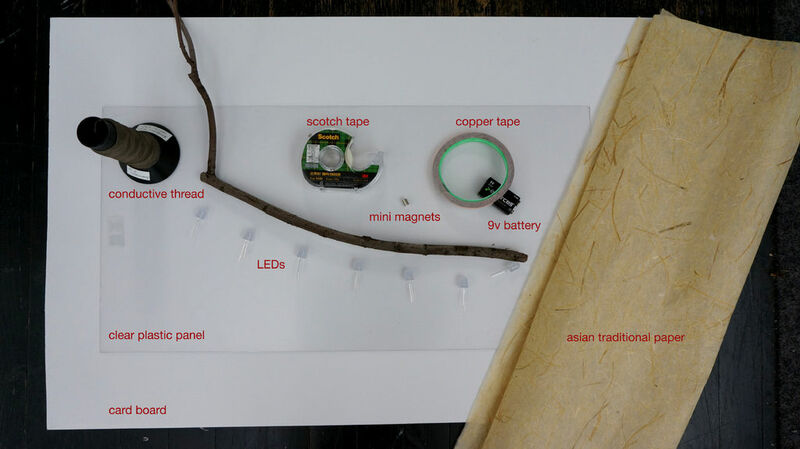 It moves easily as magnets on the back of the branch stick together connected to “+” or “-” circuits. The main point what I learn in this project is to drill the tiny holes for electric flows directly with the branch. The magnets only work for adhering to each other on the opposite surfaces and cannot be flowing electrics over the panel without the holes. This is so stylish, simple and practical! Love it!